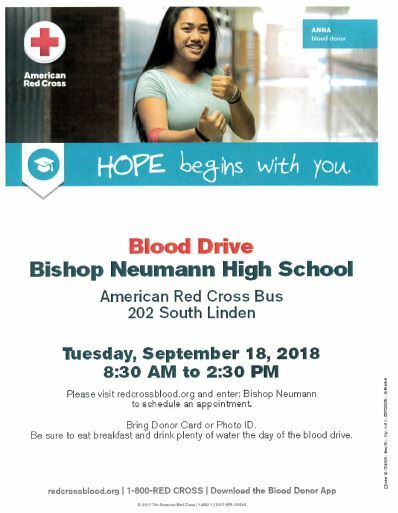 Please visit redcrossblood.org and enter: Bishop Neumann to schedule an appointment. Bring Donor Card or Photo ID. 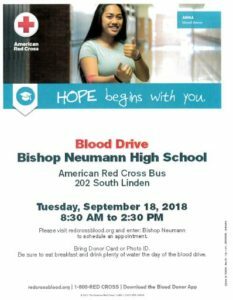 Be sure to eat breakfast and drink plenty of water the day of the blood drive.